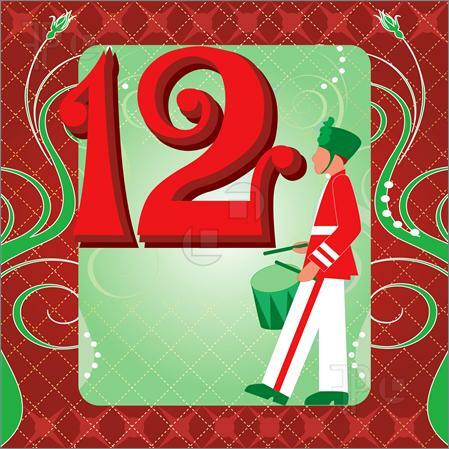 We joyfully present The 12 Ways to OnPay to kick off the holidays! The first way to OnPay, is to allow us to automate accounts payable. Allow us to interface into your legacy accounting system or ERP and convert your Checks to ePayments. The second way to OnPay is to allow us to onboard vendors to your electronic payments program...be it ACH, Virtual Card or Wire transfers, we can get your vendors' details collected and stored for payment via your chosen method or all three! The third way to OnPay is to improve your CASH Management by automating accounts receivable. We can streamline Cash-application by connecting your banking deposits to your emails and to your Accounts Receivable system allowing faster clearing and releasing working capital! CASH sooner. Added benefit: you reduce your DSO. The fourth way is to add Virtual-Card Payments, which result in cash rebates. Clients earn an average of about 1% cash-back, paid monthly on all AP spend made on V-cards. The fifth way to OnPay is to streamline electronic ACH payments and V-Card payments for each of your locations or business units, like our client who uses the OnPay Solutions' system to automate accounts payable for their 70-plus locations. The sixth way to OnPay is to partner with OnPay Solutions. If you're a document automation platform, a invoice system or any SaaS system, plug right into OnPay to continue process-improvement and enable payments for your clients. The seventh way to OnPay is to allow us to review your AP process and recommend ways to to consolidate payments and reduce your Bank Fees. Save hundereds or thousands of dollars using our helpful tips. The eighth way to OnPay is to allow us to automate your check printing at our off-site facility allowing your team to focus on their real jobs - not folding and stuffing checks once, twice or three times a week. You'll be amazed at how much more reporting and anaysis can be done when check printing is handled for you. The ninth way to OnPay is to use our platform to make your international wire and ACH payments. Just set them and forget them. No more logging into different bank portals to initiate payments. One simple process allows you to pay on demand or on a schedule. The tenth way to OnPay is to move your AP infrastructure to the Cloud and allow us to take care of the heavy lifting! The added benefits improve your department in so many ways. The eleventh way to OnPay is to set up our systems to help you with your reporting by consolidating your check, v-card and other reconciliation reports into one platform. The twelth way to OnPay is to become our client for Accounts Payable and Accounts Receivable and be serviced by our reliable Tech Support Team that is ALWAYS reachable, who have a 30-minute call-back policy and boast a 100% client satisfaction rating! Because OnPay Solutions is fortunate to have a unique and vast customer base who use our solutions to streamline their operation and improve their processes, each of our relationships and how we support each customer is unique as well. Above are just twelve of the different ways our customers "OnPay." If we can help you solve anything similar to what's listed above or if you have another payment need that might challenge us, please reach out. We are happy to help. Remember, we don't just provide answers, we provide real solutions. Find Out How Payment Automation Can Benefit Your Business. Click Here to Learn More!